Jalal was badly injured in September 2017 when he found a landmine near his home in Syria. The family lived in a heavily contested area, which saw many different battles over recent years. The young boy didn’t understand what the object was, and when he touched it, it exploded. Considering a landmine exploded next to him, Jalal escaped with very few injuries. However, his hand was badly burnt. Physically he is able to hold things in his hand, but by the time he met INARA in November 2017, the burns were making it increasingly difficult for him to control the movement of his fingers. After the accident his family immediately took him to a field hospital, where they cleaned the wound and changed the dressing. With hospitals in Syria so overwhelmed with so many injured people, the field hospital couldn’t do much more to help Jalal. Since the family arrived in Lebanon, they have been surprised by how expensive it is for them as refugees. “Lebanon is such an expensive country to live in,” complained his mother. The family live in the north of Lebanon, in a house that both parents agree isn’t fit for living. They struggled to find work. 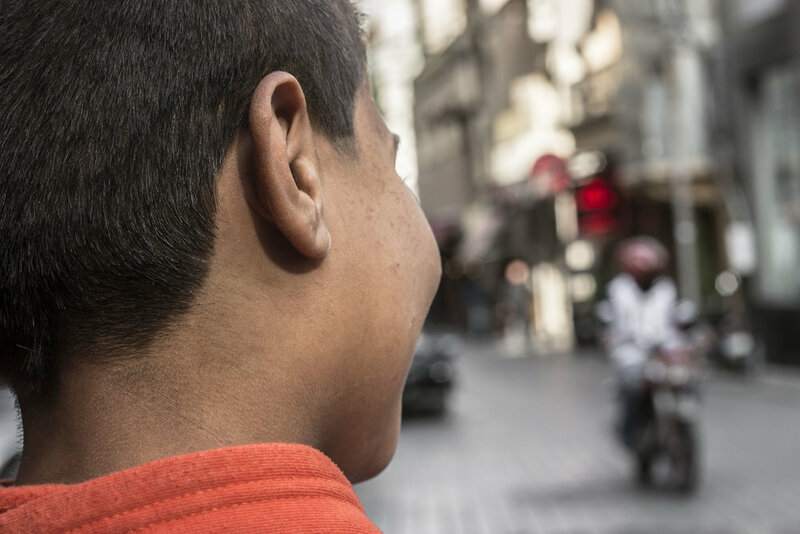 When the family registered with UNHCR when they came to Lebanon, they were told by someone there to contact INARA about Jalal’s hand. We brought him in to meet our doctors at the American University of Beirut Medical Center (AUBMC), where they explained that he would need a scar release surgery on two of his fingers to free up the movement on his hand. Jalal had his surgery at the end of November and it was a success. Since then, he came in for numerous follow ups at AUBMC. UNICEF contributed towards Jalal's treatment.